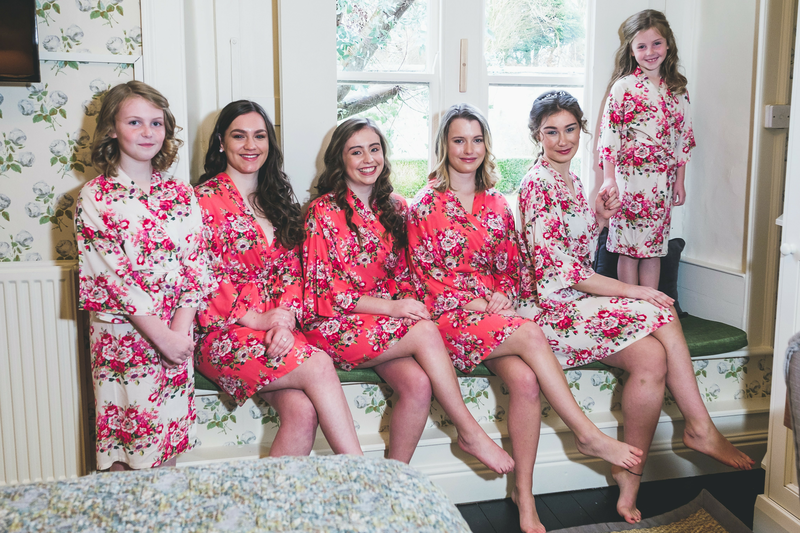 We often get asked for matching kids robes for flower girls, by brides who are shopping for bridesmaids dressing gowns for their bridal party. Kimono sets are now so popular for the morning of the wedding, and it is so lovely to be able to have the children in the party in the same outfits. It helps them to feel part of the day, and it certainly does look lovely in all the wedding photos when everyone is coordinated. 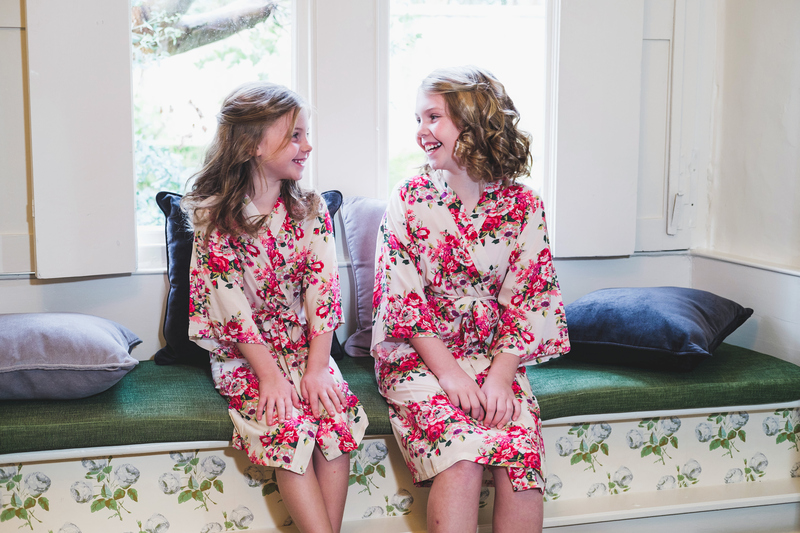 The childrens ' dressing gowns are available in two of the different ranges, the Ivory Cotton and the Vintage Floral range. Sizes are Age 2-4, Age 6-8 and Age 10-12. And in both ranges the childrens' robes are only available in the ivory, but do coordinate beautifully with the other colours in each range. 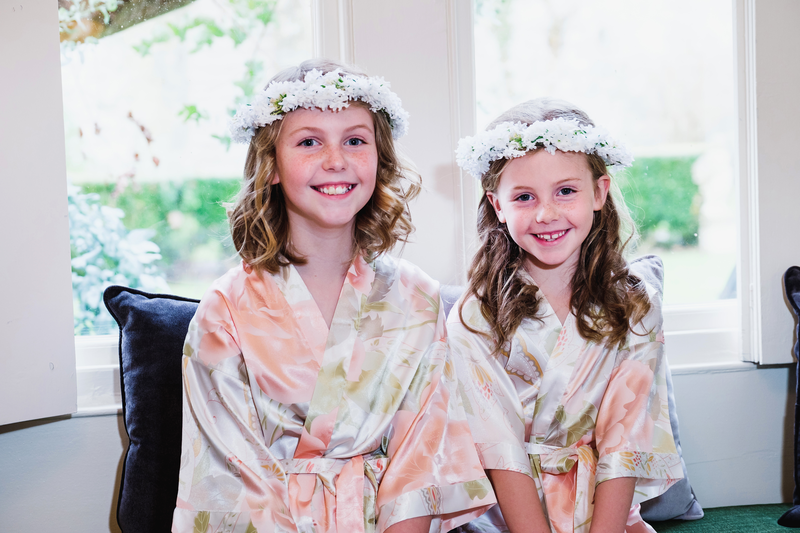 This week on our Live Video we had two beautiful models in our childrens dressing gowns. Take a look at the video to see which style is your favourite. Your flower girls will love these gowns, in either the soft silk of the Vintage Floral range, or the easy to wear comfort of the Ivory Cotton range. Don't forget that they will also be able to wear them after the wedding, hopefully for years to come, and keep them as a momento of your special day.